None of us like dealing with discipline issues. It’s just not fun, and it’s certainly not why we decided to be teachers. But, none the less, it certainly comes with the territory. Have you noticed, though, that while some classrooms seem to be overrun with problems others seem to have very little? This doesn’t happen by accident. 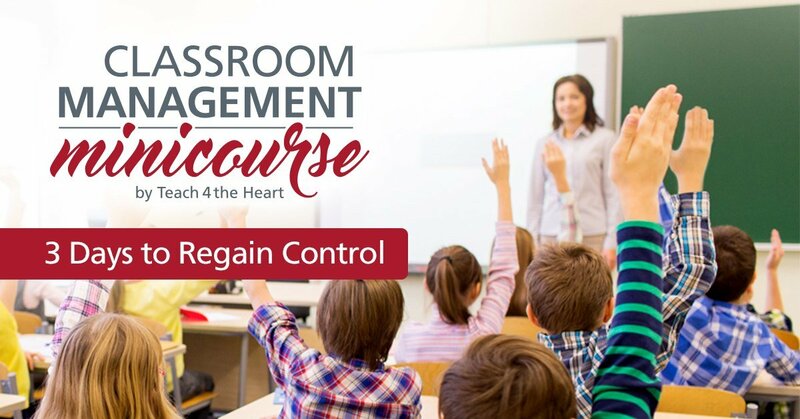 Well-managed classrooms have a minimum of discipline issues because the teacher has done a tremendous job of intentionally preventing them. 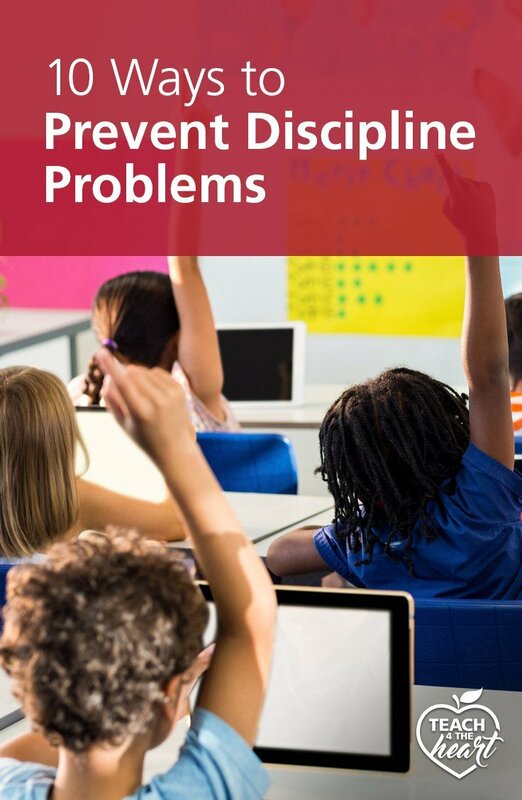 So if you feel like your day is constantly being hijacked by discipline issues, take a look at these suggestions for you how you can start preventing them. Be organized. Disorganization leads to lulls in your class which lead to kids getting bored and misbehaving. Plan your lessons well, have your supplies ready, and be as organized as possible. Think right now about what items you seem to be constantly displacing and figure out a system to help you keep track of them. Deal with problems while they’re still small. Don’t wait to deal with issues until they’re big. Instead, address every small issue that comes up in your class. Dealing with them while they’re small will help to keep them from growing into bigger, more overwhelming problems. We talk a lot more about this in the post The Tiny Mistake that Could Ruin Your Whole Year. Have good control procedures. Intentionally develop procedures that prevent problems. For example, requiring students to use a cover sheet will prevent cheating. 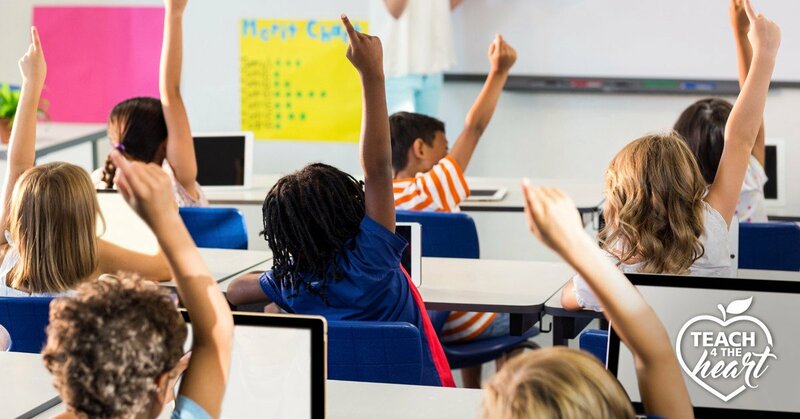 These types of procedures should make it as easy as possible for students to choose to do the right thing and as difficult as possible for them to misbehave or make poor decisions. Need help developing good procedures? Check out the book The First Days of School or for elementary teachers, take a look at The Cornerstone. Keep your students engaged. The more engaged your students are in learning, the less they will cause problems. So let your passion for teaching show and make your subject come alive. Also, remember that the one who is working is the one who is learning, so don’t just lecture all day. Get your students involved. One great way to do that is with writing-to-learn. Check out this post to find out 5 easy ways you can implement writing to learn in your classroom. Move around the classroom. Don’t be stuck at the front of the room. Feel free to walk around as you teach. Not only does this provide some variety, but it also helps you keep a better eye on what the students are doing. Does it look like Greg may be texting? Walk back towards his desk for a closer look without interrupting class. Develop a rapport with your students. If we want our students to follow us, they need to respect us and know that we care about them. So invest in their lives. Be genuine and admit your mistakes. Be kind and approachable. Compliment them, write them kind notes, and attend their extracurricular events when possible. Give them the benefit of the doubt and show them that you love them. Be professional. If your goal is for your students to like you, you’re going to set yourself up for a host of problems. Instead of viewing yourself as your students’ friend, you need to see yourself as their mentor. That means your interactions with them should be friendly but not familiar. Check out the post How to Be a Professional Teacher Without Being Distant for more details. Oh, and don’t forget to consider your dress. Read more about Do Teachers Really Need to Dress Professionally? and How to Dress Professionally on a Teacher’s Income. Require students to clear their desks. Require students to only have out on their desks what they need for the current activity. Everything else must be put away or on the floor. When their desks are mostly clear, you can easily see exactly what they’re doing, and it makes it much harder for them to be off-task. Establish structure first. I know you may have a whole list of exciting activities that you want to do with your students, but save the less structured activities until the students are used to your expectations and are doing well with a more structured environment. Then, once they understand structure, they and you should be able to enjoy a less structured activity while still maintaining control. What else do you do in your classroom to help prevent discipline problems? The Tiny Mistake that Could Ruin Your Whole Year. How to Teach Procedures that Your Students Will Actually Follow. 5 Easy Ways to Implement Writing in your Classroom. How to Dress Professionally on a Teacher’s Income. I really enjoyed,May God bless you !